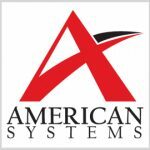 American Systems has won a potential five-year, $85 million contract to provide operational test and evaluation support for the U.S. Air Force’s fourth- and fifth-generation fighter aircraft and related systems. The Air Force’s operational test and evaluation center at Kirtland AF Base in New Mexico awarded the indefinite-delivery/indefinite-quantity contract through a competitive procurement process with two bids received, the Defense Department said Friday. The contract covers technical assistance, engineering, multiservice fighter jet acquisition program, test planning and design, reporting, execution and other analytical test support services. American Systems will perform work at two air bases in California and Nevada through June 2, 2021. The service branch will obligate $2.3 million from research, development, test and evaluation funds for fiscal 2016 at the time of award, according to DoD. The award comes three and a half years after American Systems acquired Science Applications International Corp.’s (NYSE: SAIC) test and evaluation business.